The combination of these ingredients make it a very filling breakfast, brunch or lunch, and it is #19 in my brunch recipe ideas. Cut the English muffin in half and toast. Meanwhile, scramble the egg in a bowl, put a bit of butter in a pan, and spread the egg as if making an omelette. Put the slice of cheese on it after about 30 seconds. When the egg is cooked enough to fold, fold over one half onto itself. Fold again, so that it is in quarters with the melted cheese inside. Now you have an egg envelope! Spread the avocado on each slice of the muffin. Add the egg and cheese pancake. Add the rocket, onion and whatever else you are using. Put the other side of the muffin on top. Eat - if you can! Mine was too big to get at so I had to take it apart and eat it as two open sandwiches! Delicious either way, and add some salt and pepper on the side that doesn't have the egg, if eating this way! 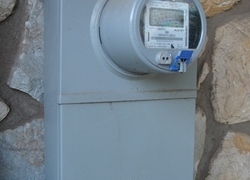 Is your meter box a locked one? 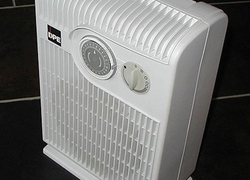 Do you have heating in your bathroom or is it freezing in there?